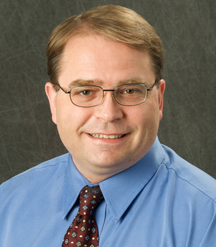 Dr. Miller received his medical education from University of Iowa, completed his residency at University of Iowa Hospitals and Clinics, and is certified by the American Board of Internal Medicine, Medical Oncology Certificate. Dr. Miller believes that Mercy Medical of Oncology is special because of the ease of access and continuity of care throughout Mercy. He grew up on a farm near Kalona and loves the rural and community based feel. Outside of work he enjoys hiking, agriculture, reading, and spending time with his wife, four kids, and dog. What he would like his patients to know is that he looks at the patient's total well-being not only the specific diagnosis. 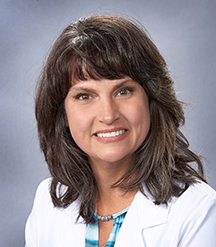 Dr. Barbara Peterson received her doctorate from the University of Iowa and is certified by the American Association of Nurse Practitioners, with a specialty in the care of teens through geriatrics. Dr. Peterson shares Mercy's Mission of Excellence in care while providing the best patient experience. She enjoys spending her free time in nature kayaking, hiking, and paddle boarding with her spouse. Dr. Reisman received his BA in biophysics from the University of California, Berkeley, and MD from the University of Texas. He is board certified in internal medicine and medical oncology. This group welcomes all women who are living with cancer; it offers a monthly meeting featuring educational presentations. The group meets on the second Thursday of each month at 6:30 p.m., Fanning room, Mercy Medical Plaza.